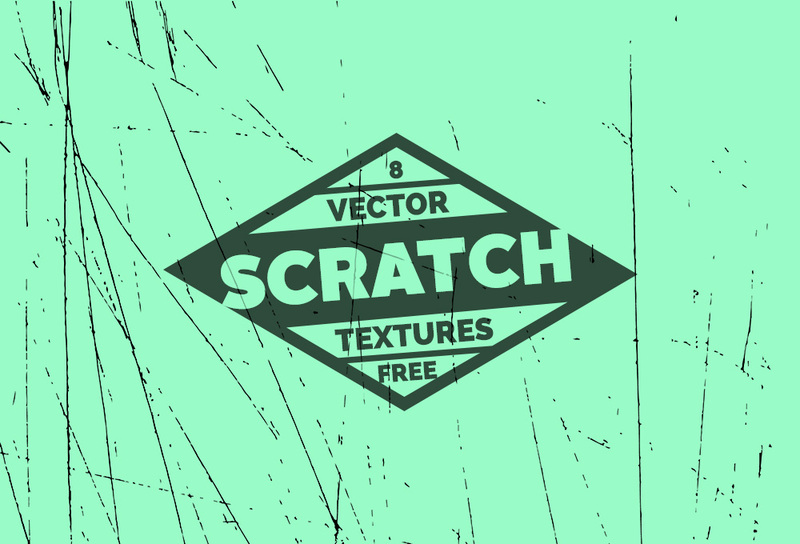 Friends, today’s freebie is a set of 8 free scratch textures in vector format. I have prepared these textures from the photos I had taken during my visit to different places. Many of these textures came from old tables, walls, etc. I hope these can be highly useful to you and me to add some basic scratch effect on the designs that require the old scratchy effect. The best part of the texture pack is that they come in vector format. In other others, I converted these textures to vector format in Adobe illustrator, tweaked for best effects and subtlety. They come in .AI, .EPS and .PNG formats. Please do let me know what you think of these textures and how you’d like to use them.